Vacation travel can be a challenge, especially when going by air. Security is necessary, but it certainly makes things tougher on travelers. 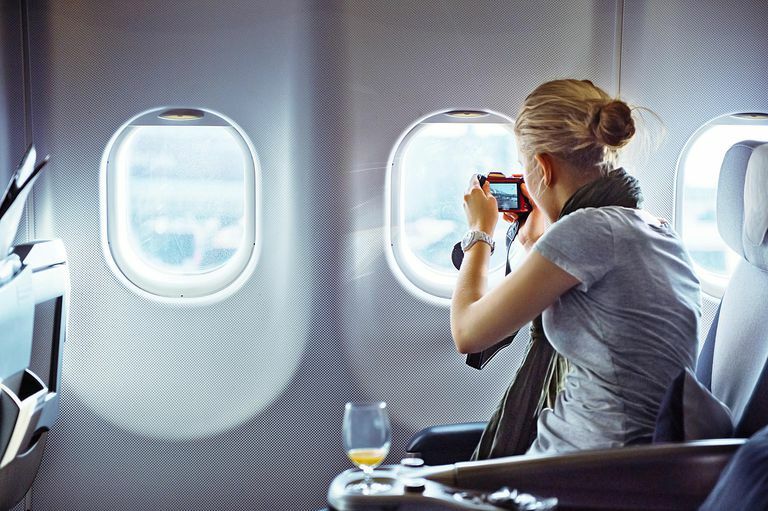 If you're flying with a camera on airplanes, your potential for hassle just increased. Not only do you have another item to try to carry through the security lines, but you also have to make sure that you have packed all of the necessary equipment securely. This can be extremely tricky because it seems as if airlines make constant changes to the rules about what size and type of bags and equipment can be carried onto a plane. Before you attempt to pack your luggage and your camera equipment for the airplane trip, be sure to check with both your airline's website and the TSA website to ensure that you know all of the rules regarding a camera carryon item. To simplify the process, follow the simple tips listed here, and you're sure to have a good experience when taking a camera on a trip. As you pack your DSLR camera, make sure that everything is packed tightly. The last thing you want, as you’re hurrying through an airport or jostling your bag as you carry it onto a plane, is to have the camera or interchangeable lens bouncing around and crashing into each other inside the bag. Look for a padded camera bag that contains separate compartments for the lenses, camera body, flash units, and other accessories. Or, to save some money, keep the original box and padding that the camera arrived in, and repack the camera in that box when preparing for a flight. Keep in mind that carrying a camera in an original box through an airport may be an invitation to anyone looking to quickly grab and steal your camera. So you may want to re-wrap the original box in a plain brown wrapping paper or otherwise change the look of the exterior of the original box, thereby not alerting thieves that an expensive camera is in the box. Don’t pack the DSLR camera with the lens attached. If stress is applied to the lens housing because of the way the camera is positioned inside a bag, it could cause damage to the delicate threads that allow the lens and camera to connect properly. Pack the body and lens separately, using the proper caps with both units. These caps should be in your original box if you still have it. In addition, make sure your camera bag is small enough to carry onto the plane. You do not want to have to have to check the bag containing your expensive camera equipment … not to mention pay the extra fee you’ll have with some airlines to have an additional checked bag. In fact, the TSA requests that you do not send electronics equipment and loose batteries through checked baggage. If at all possible, make sure the camera bag will fit into the carry-on bag you were planning to use. At the time of this writing, TSA regulations did not require a standard DSLR or point and shoot still image camera to have to be separately screened. Only extremely large electronics, those larger than a DSLR, must be removed from your bag and separately x-rayed. Any type of portable ​electronic device, such as a digital camera, may be left in carry-on bags as the bags are electronically screened. However, it is possible that a TSA agent could request to have a camera more closely inspected after the x-ray procedure, so be prepared. In addition, these regulations could change at any time, so be sure to visit the tsa.gov Web site to see the latest regulations. Keep a fresh battery handy as you’re going through the security line. On occasion, you may be asked to turn on the camera by security personnel. This doesn’t happen anywhere near as often as it used to, but it’s still a good idea to have a fresh battery available, just in case. Do not carry multiple batteries together and loose. If the batteries’ terminals were to come in contact with each other during the flight, they could short-circuit and start a fire. Additionally, if the battery terminals come into contact with some sort of metal, like a coin or keys, they could short-circuit, too, causing a fire. All batteries should be securely and separately stowed during a flight. In addition, make sure to pack batteries in a manner that they will not be crushed or punctured during the flight. Lithium and Li-ion batteries have chemicals inside them that could be dangerous, should the battery’s outer casing become compromised. If possible with your DSLR camera, consider taping the power toggle switch into the “off” position. You may need to use some duct tape for strength, but this will prevent the camera from accidentally being turned on inside your bag, should you choose to leave the battery inside the camera. The x-ray procedure will not damage the memory card stored with your camera, nor will it erase any data stored on the card. If you lose your camera while negotiating a TSA security checkpoint at the airport, you can directly contact the TSA group at the airport in which you lost your camera. Visit the tsa.gov Web site, and search for “lost and found” to find the correct telephone number. Keep in mind that this number is only for items lost at the TSA checkpoint; if you lost your camera elsewhere in the airport, you’ll have to contact the airport directly. If you know that you must check your camera equipment, you’ll want a hard-sided case that has padding on the inside. This case should be able to be locked. If you purchase a lock for your bag, make sure it is a TSA-approved lock, which means that security personnel will have the appropriate tools to open the lock without having to cut it. TSA then can re-lock the bag after inspection. When traveling with a DSLR camera by air, make sure you have insurance on the equipment, preferably that will protect your investment should the camera be lost, damaged, or stolen while flying. This insurance will not be cheap, so you may not want to purchase it unless you have quite a bit of expensive equipment, but it can give you some peace of mind when flying with your DSLR camera. By following these tips, you'll be able to breeze through security, allowing you to relax and enjoy your trip. And keep your camera handy during the flight, as you may be able to create an awe-inspiring photo through the airplane window! Keep in mind though that an airport is a common place to lose a camera. People often become distracted while moving through security or when quickly collecting belongings after their flight is called. Get in the habit of always storing your camera in the same place in your bag, so you can quickly check to see if it's in the proper place before exiting security or boarding the plane.